The SC has resumed hearing in the case to decide whether or not a court-monitored mediation can be directed in the case. 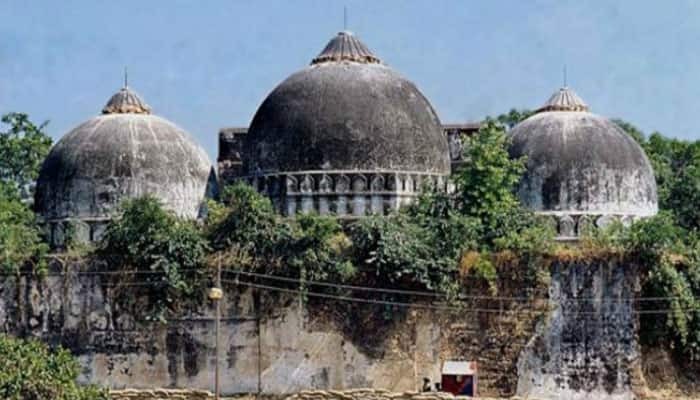 NEW DELHI: The five-judge Constitution Bench of the Supreme Court on Wednesday began hearing to decide whether court-monitored mediation is required to resolve the decades-old Ayodhya Ram Janmabhoomi-Babri Masjid land dispute case. The five-judge Constitution Bench is expected to take a call on whether or not it would invoke Section 89 of the Code of Civil Procedure to attempt a court-monitored mediation in the decades-old Babri Masjid–Ram Janmabhoomi title suit. The Constitution Bench comprising Chief Justice Ranjan Gogoi and Justices SA Bobde, DY Chandrachud, Ashok Bhushan and S Abdul Nazeer had earlier indicated its desire for attempting mediation, under the supervision of the Supreme Court, to resolve the land dispute between the warring claimants. On February 26, the bench had said that it would pass an order, on March 5, on whether or not a court-monitored mediation can be directed in the case. Notably, the suggestion for mediation was coined by Justice Bobde, during the hearing when both the Hindu and the Muslim sides were sparring over the veracity of documents related to the case which were translated by the Uttar Pradesh government and filed with the apex court registry. The matter was then listed for hearing on March 6. "Parties to suggest the name for mediator or panel for mediators. We intend to pass the order soon," says CJI Ranjan Gogoi. Muslim petitioners say we will abide by the SC order in the Ayodhya land dispute case. If someone reports then it amounts to contempt," says advocate Rajeev Dhavan. "Confidentially should not be breached by parties. It shouldn't be commented in the media. While the process is on it shouldn't be reported," Justice Bobde said during the hearing. Supreme Court reserves order on the issue of referring Ram Janmabhoomi-Babri Masjid title dispute case to court appointed and monitored mediation for “permanent solution”. Mediation must be held in camera, says lawyer Rajeev Dhawan. Who should be the arbitrator is up to the court, says Rajeev Dhavan arguing for Muslim parties. Advocate Dhawan asks the Constitution Bench to frame terms for mediation. Advocate Rajeev Dhavan, who is appearing for a group of Muslim petitioners in the case, says, "Muslim petitioners are agreeable to mediation and any compromise or settlement will bind parties." When the mediation is on, it should not be reported on. It may not be a gag, but no motive should be attributed to anyone when the mediation process is on," says the Constitution bench. “We have no control over what happened in the past, who invaded, who was the king, temple or mosque. We know about the present dispute. We are concerned only about resolving the dispute," says Justice SA Bobde. "There need not be one mediator but a panel of mediators," says Justice SA Bobde. Five-judge Constitution Bench of the SC has begun hearing in the case, reports ANI.